Cuts through tough grease and baked-on-foods. 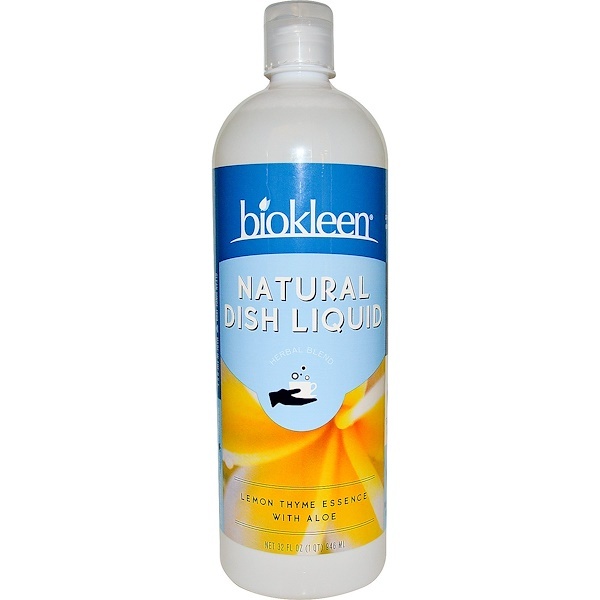 Dishes, glasses and utensils dry spot-free with no chemical residue or taste. 1 tbs in sink with water. Let soak or wash immediately. To eliminate odors in plastic, rub full strength on surface. Rinse with warm water after 10 minutes. Try as hand soap, bubble bath or pet shampoo (1-2 tbs). Water (filtered), cocamidopropyl betaine (plant based surfactant), sodium lauryl sulfate (plant based surfactant), lauramine oxide (plant based surfactant), caprylyl/capryl glucoside (plant based surfactant), glycerin (vegetables), sodium chloride, natural lemon thyme fragrance, C10-16 alkyl glucoside, aloe barbadensis leaf, sodium carboxymethyl inulin (plant-based chelant), grapefruit (citrus grandis) seed extract, C10-16 alcohol (plant based). 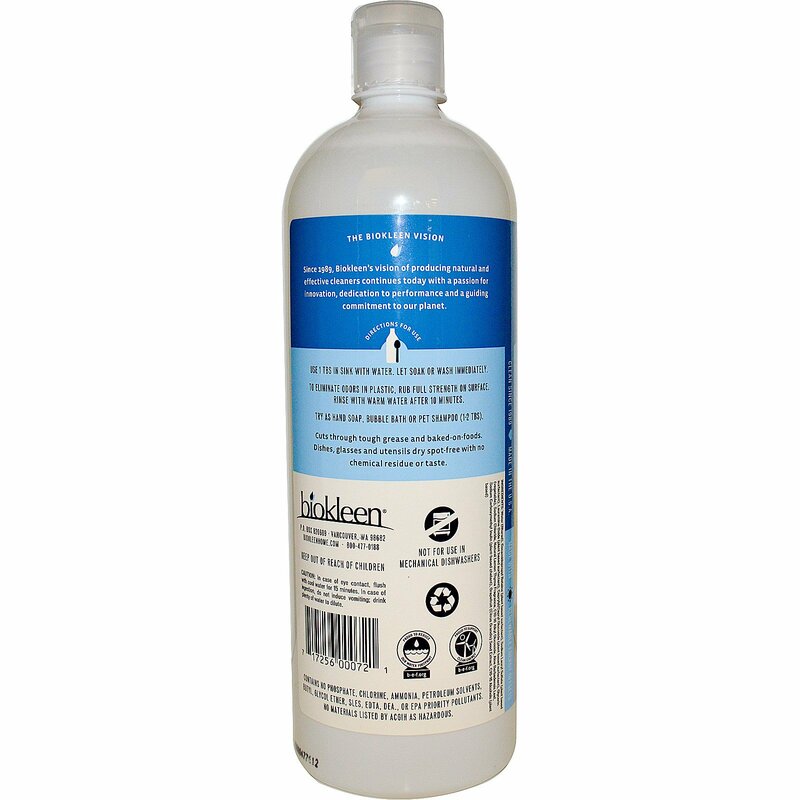 Contains no phosphate, chlorine, ammonia, petroleum solvents, butyl, glycol ether, SLES, EDTA, DEA, or EPA priority pollutants. No materials listed by ACGIH as hazardous.